We’ve always had something of a soft-spot for the Mazda CX-3, as one of the more handsome compact SUVs on the market. But Mazda as a company isn’t prone to resting on its laurels, so for 2019 they’ve given the CX-3 a bit of a tweak to help strengthen its appeal. 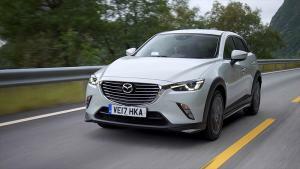 Watch our video review of the new Mazda CX-3 GT Sport. 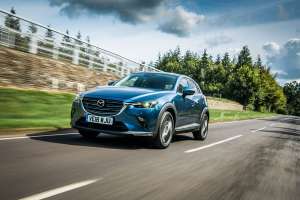 Already the dishiest of the small SUVs and, we think, one of the more perfectly proportioned cars on the market today, Mazda have given the CX-3 a little extra visual verve with the addition of a new GT Sport model. 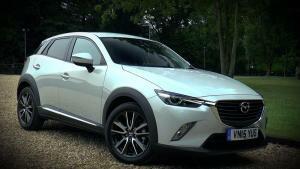 Watch our Mazda CX-3 Video Review. When people find out I’m a motoring journalist, what follows is normally the question “what car should I buy?” Lately, by way of an answer, I’ve been suggesting the questioner simply throws a dart at the Mazda range and drives home in whatever it hits. 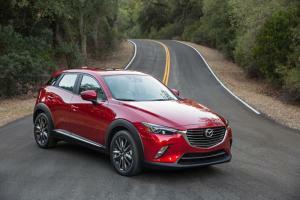 With the unveiling of the new CX-3, Mazda revealed themselves as a brand that marketing types would describe as being “on point.” So when the CX-3 arrived on test, we had seriously high hopes for it. 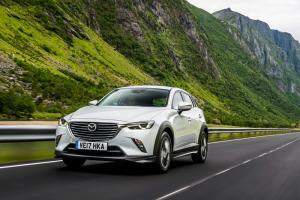 The new Mazda CX-3 will be priced from £17,595 when it goes on sale in the UK this June. It will be offered in five model grades with three engines. 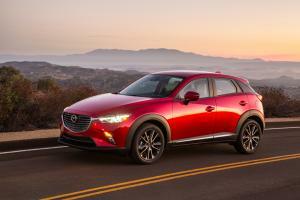 Mazda today unveiled its new compact SUV, the CX-3, at the 2014 LA Auto Show. 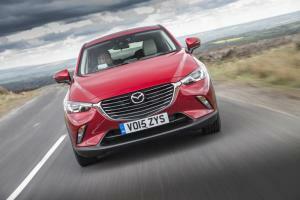 The CX-3 shares much of its styling with the new Mazda2, with which it also shares its wheelbase.